Highwaymen in the Middle Ages gave travelers a choice – they could hand over their cash and all their possessions, or they could hand over their life. At least those criminals gave their victims a choice. Well, I do believe that Big Tobacco has outsmarted itself with its attempt to move smokers away from smoking and into vaporizing. That’s because in order to accomplish this massive feat of social engineering Big Tobacco has inadvertently revealed some things about their industrial practices that will, when clearly understood, point directly to their massive corporate crimes. This post is an excerpt from a World Health Organization internal document titled: “Tobacco Company Strategies to Undermine Tobacco Control Activities at the World Health Organization”. This 250 page report reveals the extent of Big Tobacco’s subversion, corruption, intimidation and seduction of scientists, regulators, institutions, and anti-tobacco efforts worldwide. WHO estimates that by 2050 Big Tobacco will have killed 1 Billion people in its rampage, and this is a detailed look at how it has managed to accomplish the miracle of killing millions of people for profit and never being held criminally accountable. This courageous and powerful report reveals in great detail the remarkable efforts Big Tobacco makes to cover its tracks, and it seems pretty clear that the only reason it would go to that enormous trouble and expense would be if they knew that if the truth about what they are really up to were to get out there, and if the truth could break through all that very expensive social engineering they’ve been doing for decades, they would all be doing the CNN perpwalk. The reason this is relevant to a blog on Coca and Cannabis is that if you look closely at the methods Big Tobacco has used to systematically subvert scientists and government agencies worldwide to protect itself and pursue its goals, you can explain a lot of otherwise puzzling and inconsistent things about the American “War on Drugs”. After you read the following excerpt, and maybe the whole WHO report, see if you don’t agree with me that the “War on Drugs” has had the smell of Big Tobacco all over it since the 1970’s. Echoing its use of front organizations as surrogates, tobacco companies have used outside scientists with concealed tobacco company ties to approach and lobby WHO on scientific questions related to tobacco. Through their contacts with IARC investigators and collaborators the tobacco companies were successful in gaining a large amount of information about the design and conduct of the study. More importantly, they were able to gain confidential information about preliminary study results and about how the study was likely to be interpreted. 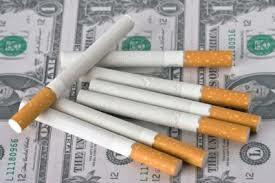 The tobacco companies were not able to influence the outcome of the study, however. According to the study coordinator, IARC itself did not pursue any proposed collaboration once IARC became aware of CIAR’s tobacco company connections.134 One IARC collaborator did, however, conduct a study for CIAR on confounders. The tobacco companies’ purpose in using an IARC collaborator was almost certainly to undermine the IARC study results by attempting to produce evidence, under the name of one of IARC’s own investigators, that would undercut the study. Tobacco companies conducted and publicly promoted a large number of studies, conferences, and literature reviews on ETS that were designed to challenge the validity of the IARC ETS study. These activities were generally carried out through third parties to create the appearance that the data and opinions were independent of tobacco industry influence. Shortly after the results of the IARC ETS study were released, BAT issued a press release stating: “New scientific research from the World Health Organization has shown the risk of lung cancer from environmental tobacco smoke to be either non-existent or too small to be measured at a meaningful level.”146 Thus, BAT claimed that the lack of statistical significance was equivalent to a finding that there was no relationship between ETS and lung cancer. These claims were picked up first by the Sunday Telegraph and then by other news outlets. Despite subsequent clarifying statements from IARC and WHO about the study results, the misrepresentation of the study results in the BAT news release was repeated in media accounts around the world. Tobacco companies may also have distorted the IARC study results when addressing regulatory authorities. Tobacco companies planned a series of distractions from the 8th World Conference on Tobacco OR Health. These plans, at least some of which were carried out, included a media campaign just before the 8th WCToH, emphasizing the need for childhood immunizations; a major soccer game to distract attention from Jimmy Carter’s arrival; training journalists to disrupt a press conference held by the conference organizers; and embarrassing US Senator Ted Kennedy by planting journalists to ask questions about drinking and sexual harassment allegations. “ The event will be staged to pre-empt monitored WHO meetings and conferences“,150 had confidential WHO contacts,151 and obtained confidential documents and information.152 Examples of clandestine surveillance activities are described in several of the case studies. “…Design the Conference to address primary health needs of children underscoring the ‘real crisis’. 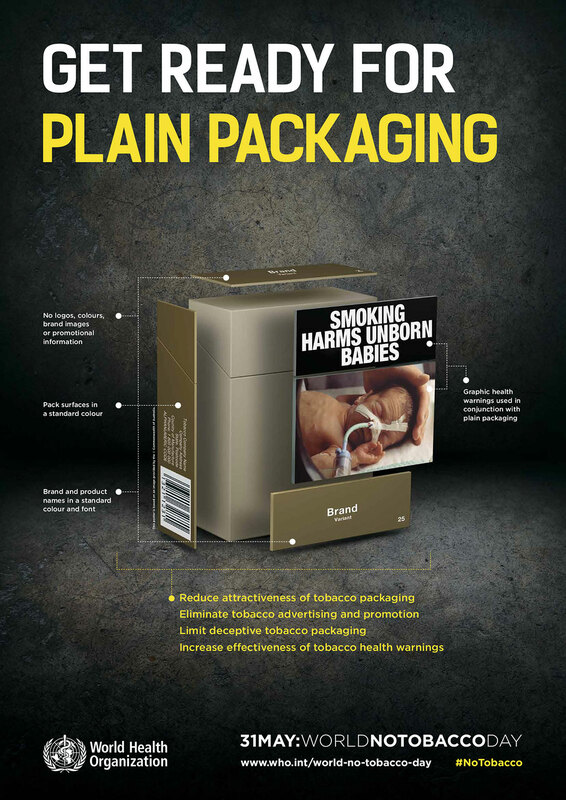 Develop an oblique critique of WHO’s anti- smoking campaign which identifies it as trivial when the global infants’ and children’s crisis is evaluated. It appears that BAT did not carry through with this conference. 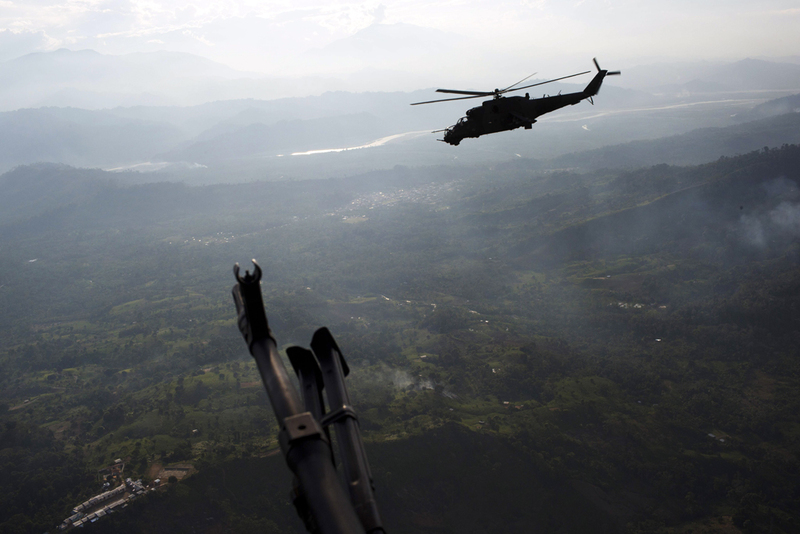 Some of the industry’s intelligence-gathering has been conducted openly, through attendance at open meetings and conferences and through open contacts with WHO and other UN officials. Examples of clandestine surveillance activities are described in several of the case studies. If you are inclined to look at references, here they are – just for this section. The entire report contains thousands of similarly damning references that put the moral degradation and greed of this industry on full display. And they really don’t care, because they have convinced themselves that they are untouchable. They would do well to remember – Al Capone was brought down by a simple little tax violation and not by any of his vast criminal conspiracies and crimes. I think that the industry’s attempt to engineer a shift from smoking to vaporizing is going to reveal the tobacco industry’s equivalent of a simple little tax evasion crime that will be enough, when all the evidence is brought to bear, for the initiation of a crimes against humanity trial in the World Court that will ultimately result in worldwide government and civil seizure of tobacco industry assets. WHOIIOCUIUICC: Strategies and Tactics. January 31, 1989. Philip Morris Companies Inc. 2501045143–5147 at 5143. www.pmdocs.com. UQ 32846. Appendix I, INFOTAB January 1989 Discussion Paper. January 30, 1989. Philip Morris Companies Inc. 2501045258–5268 at 5262. www.pmdocs.com. UQ 33561. World Watch: Protecting our Global ‘Next Generation’-A Proposed Conference on Children’s Health Issues. October 1989. 300516227–6285 at 6235. Guildford Document Depository. UQ 33691. Hartogh JM. To all members of the ICOSI task force 4th world conference on smoking and health. [Memo by E. Brueckner.] June 26, 1979. British American Tobacco Company. 100433043–3047 at 3046. Guildford Document Depository. UQ 33162. WHOIIOCUIUICC: Strategies and Tactics. January 31, 1989. Philip Morris Companies Inc. 2501045143–5147 at 5146. www.pmdocs.com. UQ 32846. Appendix I, INFOTAB January 1989 Discussion Paper. January 30, 1989. Philip Morris Companies Inc. 2501045258–5268. www.pmdocs.com. UQ 33561. WHOIIOCUIUICC: Strategies and Tactics. January 31, 1989. Philip Morris Companies Inc. .2501045143–5147 at 5146. www.pmdocs.com. UQ 32846. PMI Corporate Affairs Action Plan 1990. November 2, 1989est. Philip Morris Companies Inc. 2500019979–9999 at 9980–9982. www.pmdocs.com. UQ 33558. Egawa E. April 25, 1986. Philip Morris Companies Inc. 2021654119–4123. www.pmdocs.com. UQ 66. Bloxidge JA. International Tobacco Growers’ Association (ITGA). October 11, 1988. British American Tobacco Company. 502555415–5417 at 5417. Guildford Document Depository. UQ 33284. Boyse S. 8th World Conference on Tobacco and Health. August 28, 1991. British American Tobacco Company. 202019292–9293 at 9292. Guildford Document Depository. UQ 33262. Bible G. Corporate Affairs Conference I Action Plan. December 13, 1986. Philip Morris Companies Inc. 2021596422–6432 at 6429. www.pmdocs.com. UQ 32834. Interview with Alan Lopez, Coordinator, Epidemiology and Burden of Disease, World Health Organization, May 4, 2000. Oldman M. [Letter to G Pedlow]. March 13, 1991. British American Tobacco Company. 502555357–5363 at 5363. Guildford Document Depository. UQ 33278. Agro-Tobacco Services-Programme Review No1. 1992. British American Tobacco Company. 502552606–2611 at 2609. Guildford Document Depository. UQ 33290. Interview with Alan Lopez, May 4, 2000. Lee PN. Dr. Helmut Schievelbein. August 9, 1979. Philip Morris Companies Inc. 2501159889–9891 at 9889. www.pmdocs.com. UQ 33717. Morris Companies Inc. 2501015083–5096 at 5088. www.pmdocs.com. UQ 33716. Belcher P. Scientific Committee on Tobacco and Health (SCTH). February 9, 1994. Rothmans International. Philip Morris Companies Inc. 2024188905–8907 at 8905. www.pmdocs.com. UQ 33715. Independent Scientific Review of the Toxic Substances Board Report, May 1989, Summary, Commissioned by the Tobacco Institute of New Zealand. 1989est. Philip Morris Companies Inc. 2504203558–3559. www.pmdocs.com. UQ 33535. Collett C. Memo to Ted Sterling re: International Symposium on Environmental Tobacco Smoke, November 3-4, 1989. November 1989est. Philip Morris Companies Inc. 2062856942. www.pmdocs.com. UQ 33536. Rothman’s International Tobacco ETS Workshop. May 1992est. Philip Morris Companies Inc. 2501237099. www.pmdocs.com. UQ 33532. 25 . Pen Pictures of Guest Speakers. May 1992est. Philip Morris Companies Inc. 2501237101– 7103 at 7101. www.pmdocs.com. UQ 33531. S&H. Re: Dr. Furst-Review of Non-Smoker Problem CTR Special Pro}ect. 1976est. Lorillard Tobacco Company. 03747419. TDO Supersite at www.tobaccodocuments.org. UQ 33714. From the record before Congress, the Case for Defeat of S. 772. 1983est. Tobacco Institute. TIMN 0353310–3320 at 3312. TDO Supersite at www.tobaccodocuments.org/. UQ 33729. Purvis A, Johnson J. Privileged and confidential attorneyIclient connumications. Trial Report, SummaryITestimonyIPro}ection. April 21, 1988. Philip Morris Companies Inc. 2025880540– 0543. Bliley Documents at www.tobaccodocuments.org. UQ 33730. Tobacco Institute Newsletter. March 12, 1982. Philip Morris Companies Inc. 515841024. Bliley Documents at www.tobaccodocuments.org. UQ 98. Hoel D. Confidential-For counsel only. July 10, 1979. Philip Morris Companies Inc.
Bliley Documents at www.tobaccodocuments.org. UQ 99. Lyberopoulos H. ARISE 1994-95 Activities and Funding. Philip Morris Companies Inc. 2024208096–8099. www.pmdocs.com. UQ 33779. 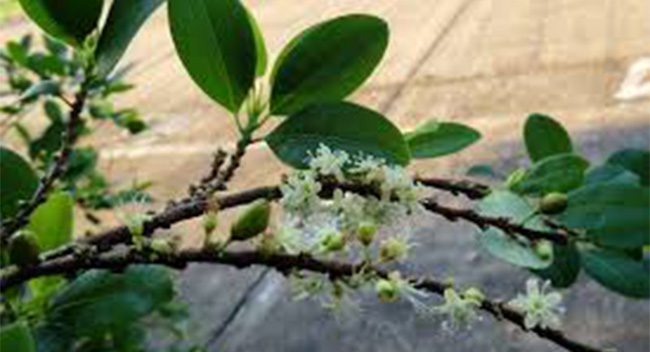 Information on Associates for Research in Substance En}oyment Meeting in Venice. 1991est. R.J. Reynolds Tobacco Company. 508300651–0667 at 0652. http://www.rjrtdocs UQ 33749. Wilhelmus J. WHO. April 18, 1995. Philip Morris Companies Inc. 2063625254. www.pmdocs.com. UQ 33541. Luik J, Snel J, Warburton D. ARISE (Associates for Research into the Science of En}oyment): A Summary of the Workshop Held in April 1995. April 1995est. R.J. Reynolds Tobacco Company. 511818234–8241. www.rjrtdocs.com. UQ 33731. The World Health Organization. December 1985est. Philip Morris Companies Inc. 2023267436. www.pmdocs.com. UQ 46. 36 . Reif H. Continuation of the Vettorazzi Pro}ect. March 25, 1992. Philip Morris Companies Inc. PM 2025594741–4743 at 4742. http://www.pmdocs.com. UQ 33466. Consultant to ICOSI on International Organisations. August 1980est. Philip Morris Companies Inc. 2025049734. www.pmdocs.com. UQ 37. Developing Countries Group (DCG). Progress report covering events since the ICOSI board of directors meeting October 5I8th, 1980. February 1981est. Philip Morris Companies Inc. 2025049364–9374 at 9365. www.pmdocs.com. UQ 40. Hauser. [Letter to AG Leeks]. April 20, 1983. Philip Morris Companies Inc. 2023273908– 3909. www.pmdocs.com. UQ 42. Secretariat Interim Report. December 28,1984. Philip Morris Companies Inc. 2023272512– 2617 at 2514. www.pmdocs.com. UQ 43. CASIN. January 11, 1991. British American Tobacco Company. 300557237–7259 at 7241. Guildford Document Depository. UQ 33350. CASIN. January 11, 1991. British American Tobacco Company. 300557237–7259 at 7240. Guildford Document Depository. UQ 33350. CASIN. January 11, 1991. British American Tobacco Company. 300557237–7259 at 7256. Guildford Document Depository. UQ 33350. Interviews with Neil Collishaw, Leanne Riley, and Barbara Zolty, all former employees of the WHO’s Tobacco or Health Program, Feb. 4, 2000. Boca Raton Action Plan: WHOIIOCUIUICC: Strategies and Tactics. Philip Morris Companies Inc. 2501045143–5147 at 5146. www.pmdocs.com. UQ 32846. E–mail communication from Neil Collishaw. March 29, 2000. Interviews with Neil Collishaw, Barbara Zolty, and Leanne Riley, February 4, 2000. E–mail communication from Barbara Zolty, March 2, 2000. Sullivan J. IARC Study. September 2, 1993. Philip Morris Companies Inc. 2501117793– 7797 at 7795. www.pmdocs.com. UQ 33603. Von Maerestetten C. IARC. July 26, 1993. Philip Morris Companies Inc. 2025493295. www.pmdocs.com. UQ 33776. IARC Study. Philip Morris Companies Inc. 2501347168–7173 at 7172. www.pmdocs.com. UQ 33595. Pages R. Update 2: IARC study of ETS and lung cancer. August 2, 1993. Philip Morris Companies Inc. 20232999819. http://www.pmdocs.com. UQ 33733. Memo on vaccines for world health organization. October 25, 1971. Philip Morris Companies Inc. 2012581044. www.pmdocs.com. UQ 4. Flavor and Extract Manufacturers Association. Invoice. August 17, 1995. Philip Morris Companies Inc. 2050761274. http://www.pmdocs.com. UQ 33546. Schrankel K. Final Report to Contributors of Anethole Research Fund. August 25, 1998. Philip Morris Companies Inc. 2063597040. www.pmdocs.com. UQ 33548. Minutes of Anethole Task Force. May 2, 1996. Philip Morris Companies Inc. 2063616600. www.pmdocs.com. UQ 33547. TIMN270055–0059 at 0058. http://www.tobaccoinstitute.com. UQ 32904. Hartogh JM. To all members of the ICOSI task force 4th world conference on smoking and health. [Memo by E. Brueckner.] June 26, 1979. British American Tobacco Company. 100433043–3047. Guildford Document Depository. UQ 33162. Oldman M. [Letter to G Pedlow]. March 13, 1991. British American Tobacco Company. 502555357–5363 at 5358. Guildford Document Depository. UQ 33278. Developing Countries Ad Hoc Group (DCG). Progress Report Covering Events Since the ICOSI Board of Directors Meeting on 19th February, 1980. August 1980est. Appendix I, INFOTAB January 1989, Discussion Paper. January 30, 1989. Philip Morris Companies Inc. 2501045258–5268 at 5262. Minnesota Document Depository. UQ 33561. Pro}ect Report Covering Pro}ects and Action Plans Since the Board of Directors Meeting on March 30, 1981. 1981est. Philip Morris Companies Inc. 2025048077–8088 at 8077. www.pmdocs.com. UQ 41. Pro}ect Report Covering Pro}ects and Action Plans Since the Board of Directors Meeting on March 30, 1981. 1981est. Philip Morris Companies Inc. 2025048077–8088 at 8082. www.pmdocs.com. UQ 41. Verkerk H. Fifth World Conference on Smoking and Health-Winnepeg. Philip Morris Companies Inc. 2501021564–1586 at 1577. www.pmdocs.com. UQ 32888. Secretariat Interim Report. December 28, 1984. 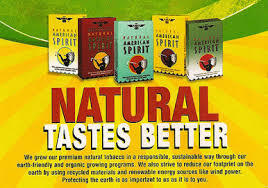 Philip Morris Companies Inc. 2023272512– 2617 at 2594. www.pmdocs.com. UQ 43. Marcotullio. INFOTAB Board of Director’s (BOD) Meeting-March 30, 1981. April 6, 1981. 502741855. Bliley Documents at www.tobaccodocuments.org. UQ 60. Witt S. International Committee on Smoking Issues Lausanne-November 10-12, 1977. November 18, 1977. 502330545. Bliley Documents at www.tobaccodocuments.org. UQ 61. INFOTAB. INFOTAB Workshop. Undated. Philip Morris Companies Inc. 2501021710– 1711. www.pmdocs.com. UQ 32891. Hauser. April 20, 1983. Philip Morris Companies Inc. 2023273908. www.pmdocs.com. UQ 42. Simpson B, Hauser N. Background Papers for the INFOTAB Advisory Group Meeting, December, 5-7, 1983. November 25, 1983. Brown & Williamson Tobacco Company. 699101438–1473. www.bwdocs.aalatg.com. UQ 32853.
International Organizations Monitoring Service. Industry Sectors and International Organizations-Tobacco Update and Outlook on World Health Organization Activities Affecting MNCs. March 5, 1986. Philip Morris Companies Inc. 2024272808- 2814 at 2812. Bliley Documents at www.tobaccodocuments.org. UQ 33777. Oldman M. [Letter to D. Bacon, enclosing “Agro-Tobacco Services (ATS), Proposal for a Consultancy Agreement”]. January 7, 1992. British American Tobacco Company. 502552644–2654 at 2650. Guildford Document Depository. UQ 33302. Oldman M. [Letter to D. Bacon, enclosing “Agro-Tobacco Services (ATS), Proposal for a Consultancy Agreement”]. January 7, 1992. British American Tobacco Company. 502552644–2654 at 2647. Guildford Document Depository. UQ 33302. Oldman M. [Letter to G. Pedlow]. March 13, 1991. British American Tobacco Company. 502555357–5363 at 5361. Guildford Document Depository. UQ 33278. Oldman M. [Letter to G. Pedlow]. March 13, 1991. British American Tobacco Company. 502555357–5363 at 5358. Guildford Document Depository. UQ 33278. Oldman M. [Letter to D Bacon enclosing Agro- tobacco Activity Report for January 1993]. February 10, 1993. British American Tobacco Company. 502552508–2513 at 2512–2513. Guildford Document Depository. UQ 33296. Bacon D. Development Aid, Progress. November 28, 1991. British American Tobacco Company. 202049931–9932 at 9931. Guildford Document Depository. UQ 33256. Bacon D. Development Aid, Progress. November 28, 1991. British American Tobacco Company. 202049931–9932 at 9932. Guildford Document Depository. UQ 33256. Bible G. Corporate Affairs Conference I Action Plan. December 13, 1988. Philip Morris Companies Inc. 2021596422–6432 at 6429. www.pmdocs.com. UQ 32834. Boca Raton Action Plan: Status Report for the Period Ending January 31, 1989. January 31, 1989. Philip Morris Companies Inc. 2500103969–4056 at 3989. www.pmdocs.com. UQ 32863. Dietrich P. WHO spends money on what? The Wall Street Journal, May 9, 1989. UQ 33662. Oldman M. [Letter to D. Bacon enclosing Activity Report, September/October 1993]. November 1, 1993. British American Tobacco Company. 502555329–5331 at 5331. UQ 33276. Boca Raton Action Plan: Status Report for the Period Ending May 31, 1989. May 31, 1989. Philip Morris Companies Inc. 2021592752– 2764 at 2752. www.pmdocs.com. UQ 32859. Boca Raton Action Plan: Status Report Ending July 31, 1989. July 31, 1989. Philip Morris Companies Inc. 2023547120–7135 at 7121. www.pmdocs.com. UQ 32860. Boca Raton Action Plan Summary Report December 3, 1988-October 30, 1989. October 30, 1989. Philip Morris Companies Inc. 2503005015–5050. www.pmdocs.com. UQ 32862. Ntaba H. Letter to the Editor, International Health and Development, Vol. 1, No. 2, Summer, p. 31. UQ 33689. Boca Raton Action Plan: Status Report for the Period Ending September 30, 1989. September 30, 1989. Philip Morris Companies Inc. 2501204997–5021 at 4998. www.pmdocs.com. UQ 32861. Boyse S. [Letter to Paul Dietrich]. August 7, 1991. British American Tobacco Company. 300516113. Guildford Document Depository. UQ 33571. Rupp J. Statement, Philip Morris International (Latin America). November 30, 1992. Philip Morris Companies Inc. 2023591405. www.pmdocs.com. UQ 32903. Bacon D. Who Benefits from WHO? November 24, 1993. British American Tobacco Company. Agenda: “Primer Encuentro de Periodistas Y la Industria Del Tabaco.” June 1991est. British American Tobacco Company. 300565679– 5681. Guildford Document Depository. UQ 33675. Tobacco Company. 300565674–5675. Guildford Document Depository. UQ 33677. Agenda, Meeting of Social Communicators and the Tobacco Industry. November 1992est. British American Tobacco Company. 300565668–5671. Guildford Document Depository. UQ 33678. Oldman M. [Letter to G. Pedlow]. March 13, 1991. British American Tobacco Company. 502555357–5363 at 5359. Guildford Document Depository. UQ 33278. Bloxidge JA. 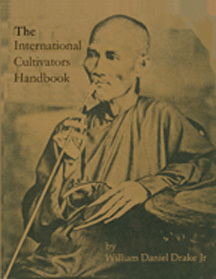 International Tobacco Growers’ Association (ITGA). October 11, 1988. British American Tobacco Company. 502555415– 5417. Guildford Document Depository. UQ 33284. Oldman M. [Letter to G. Pedlow]. March 13, 1991. British American Tobacco Company. 502555357–5363 at 5360. Guildford Document Depository. UQ 33278. Oldman M. Agro-Tobacco Services (ATS), Proposed Plan. November 1991. British American Tobacco Company. 502552655–2667 at 2659. Guildford Document Depository. UQ 33303. INFOTAB International Workshop, Brussels, October 13-16, 1986. October 16, 1986. Philip Morris Companies Inc. 2501446636–7080 at 6723–6724. www.pmdocs.com UQ 33566. Boca Raton Action Plan: Appendix A, WHOIIOCUIUICC: Strategies and Tactics. January 31, 1989. Philip Morris Companies Inc. 2501045143–5147.www.pmdocs.com UQ 32846. Wells JK. INFOTAB Advisory Council Meeting July 14 and 15, 1982. July 21, 1982. Brown &Williamson Company. 680002301–2307. Bliley Documents at www.tobaccodocuments.org. UQ 20. Egawa E. April 25, 1986. Philip Morris Companies Inc. 2021654119–4123 at 4121. www.pmdocs.com. UQ 66. INFOTAB International Workshop, Brussels, October 13-16, 1986. October 16, 1986. Philip Morris Companies Inc. 2501446636–7080 at 6677. www.pmdocs.com UQ 33566. Egawa E. April 25, 1986. Philip Morris Companies Inc. 2021654119–4123 at 4120. www.pmdocs.com. UQ 66. Whitley C. Statement of Charles O. Whitley on behalf of the Tobacco Institute before the Subcommittee on Health and the Environment, Committee on Energy and Commerce, US House of Representatives [Draft]. July 9, 1990. Tobacco Institute TIMN 0032095–2141 at 2118. Bliley Documents. 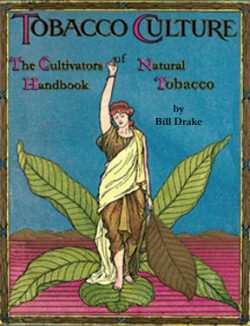 www.tobaccodocuments.org. UQ 32912. Zhang M. [Attaching Press article in the China Daily on the CIAR’s GEP workshop in Guangzhou.] September 9, 1997. Philip Morris Companies Inc. 2063608546–8547. http://www.pmdocs.com. UQ 33752. Whitley C. Statement of Charles O. Whitley on behalf of the Tobacco Institute before the Subcommittee on Health and the Environment, Committee on Energy and Commerce, US House of Representatives [Draft]. July 9, 1990. Tobacco Institute TIMN 0032095–0032141 at 2118. Bliley Documents. www.tobaccodocuments.org. UQ 32912. Press release by the organizers of the expert discussion of the “Physician’s View of Passive Smoking”: Health Danger through Passive Smoking Not Proven. April 1984. Philip Morris Companies. 1002965608–6509. www.pmdocs.com. UQ 33770. Masironi R. [Letter to W. Kloepfer]. December 2, 1986. Philip Morris Companies Inc.
Greenberg D. IARC. September 15, 1993. Philip Morris Companies Inc. 2021184116–4121 at 4119. www.pmdocs.com. UQ 33590. Walk, R.A. IARC Multi-Center Case Control Study of ETS and Lung Cancer, Your memo dated 21 May 93. July 13, 1993. Philip Morris Companies Inc. 2025493287. www.pmdocs.com. UQ 33616. IARC Study. 1994est. Philip Morris Companies Inc. 2501347168–7173 at 7169. www.pmdocs.com. UQ 33595. Pages R. IARC Study of ETS and Lung Cancer. May 21, 1993. Philip Morris Companies Inc. 2500015757. www.pmdocs.com. UQ 33617. Walk, R.A. IARC Multi-Center Case Control Study of ETS and Lung Cancer: Update of information. July 30, 1993. Philip Morris Companies Inc. 2029041838–1839. http://www.pmdocs.com. UQ 33618. Interview with Paolo Boffetta, April 17, 2000. Greenberg D. IARC. September 15, 1993. Philip Morris Companies Inc. 2021184116–4121 at 4118. www.pmdocs.com. UQ 33590. Boyse S. [Letter to Ron Tully.] April 18, 1990. British American Tobacco Company. 400099555. Guildford Document Depository. UQ 33507. Boyse S. [Letter to PN Lee.] December 19, 1989. British American Tobacco Company. 400099679. Guildford Document Depository. UQ 33509. Lee P. May 8, 1990. British American Tobacco Company. 502587275–7284 at 7275. Guildford Document Depository. UQ 33236. Winokur M. [FAX to H. Reif attaching “CIAR and IARC, Next Steps and Options.”] December 19, 1994. Philip Morris Companies Inc. 2028381587–1588 at 1588. www.pmdocs.com. UQ 33746. Interview with Paulo Boffetta, April 17, 2000. Matthews R, MacDonald V. Passive smokers inhale six cigarettes a year. Sunday Telegraph. August 16, 1998. Lyberopoulos, H. Presentation on IARC [enclosing overheads]. April 19, 1994. Philip Morris Companies Inc. 2501355931–5944 at 5942. www.pmdocs.com. UQ 33604. Hockaday T, Cohen N. Thoughts on TASSC Europe. March 25, 1994. Philip Morris Companies Inc. 2025492898–2905 at 2899. http://www.pmdocs.com. UQ 33758. Lindheim J. Presentation on Scientist Pro}ect. May 5, 1994. Philip Morris Companies Inc. 2025493201–3207 at 3205–3206. www.pmdocs.com. UQ 33708. Ong E, Glantz S. Tobacco industry efforts subverting International Agency for Research on Cancer’s second–hand smoke study. The Lancet. 2000; 355: 1253–59. Mooney L. Smoking out bad science. Wall Street J. March 19, 1998; A18. Boffetta P, Agudo A, Ahrens W, et al. Multicenter case–control study of exposure to environmental tobacco smoke and lung cancer in Europe. J Natl Cancer Inst 1998; 90: 1440– 50. Hirayama T. Non–smoking wives of heavy smokers have a higher risk of lung cancer: A study from Japan. BMJ 1981; 282:183–85. Repace JL, Lowery AH. A quantitative estimate of nonsmokers’ lung cancer risk from passive smoking. Environment Int. 1985;11:3–22. US Environmental Protection Agency. Health effects of passive smoking: Assessment of lung cancer in adults and respiratory disorders in children. Office of Research and Development, Office of Health and Environmental Assessment. EPA/600/6–90/006F, 1992b. Boffetta P, Agudo A, Ahrens W, et al. Multicenter case–control study of exposure to environmental tobacco smoke and lung cancer in Europe. J Natl Cancer Inst 1998; 90: 1440–50. British American Tobacco. [ News release]. March 5, 1998. Philip Morris Companies Inc. 2063594010–4240 at 4018. www.pmdocs.com. UQ 33750. World Watch: Protecting our Global ‘Next Generation’-A Proposed Conference on Children’s Health Issues. October 1989. British American Tobacco Company. 300516227–6285 at 6236. Guildford Document Depository. UQ 33691. INFOTAB . Item 2 Report From The Secretary General . January 1, 1982est. Philip Morris Companies Inc. 2021594826–4836. www.pmdocs.com. UQ 32. Background to the Structure and Operations of the Activist Movement. November 15, 1994. Philip Morris Companies Inc. 2501110753– 0775. www.pmdocs.com. UQ 68. Seymour M. 6 September 1996 IARC European Response Plan Workshop. August 8, 1996. Philip Morris Companies Inc. 2063604476– 4498. www.pmdocs.com. UQ 71. Companies Inc. 2023272592–2597. http://www.pmdocs.com. UQ 91. Hoel D. Confidential-For Counsel Only. July 10, 1979. Brown & Williamson Company. 680040577–0579. Blilely Documents at www.tobaccodocuments.org. UQ 99. Pages B. IARC. September 13, 1993. Philip Morris Companies Inc. 2029173981. www.pmdocs.com. UQ 32848. Dietrich P. [Letter to Sharon Boyse]. October 8, 1991. British American Tobacco Company. 300516052–6053. Guildford Document Depository. UQ 32879. Proctor C. WHO Meeting in Budapest. March 10, 1994. British American Tobacco Company. Ecoffey D. CASIN . British American Tobacco Company. 304002746–2749. Guildford Document Depository. UQ 33253. Tobacco Company. 202019292–9293 at 9292. Guildford Document Depository. UQ 33262. Tully R. 8th WCTH. January 29, 1992. British American Tobacco Company. 300504241– 4252. Guildford Document Depository. UQ 33334. Global Business Forum. June 12, 1991. British American Tobacco Company. 300557205– 7210. Guildford Document Depository. UQ 33348. Tobacco Company. 300557237–7259. Guildford Document Depository. UQ 33350. Hartogh J. Report by Task Force 5th World Conference on Smoking and Health, Winnipeg, Canada, July 1983. February 26, 1981. Philip Morris Companies Inc. 2025049376–9377. www.pmdocs.com. UQ 33514. The World Health Organization (WHO): Its Work Related to the Activities of the International Tobacco Industry. Philip Morris Companies Inc. 2501442830–2897 at 2501442889–2897. www.pmdocs.com. UQ 5. Lojacono G. Research Group Informal Meeting On: Health Effects of ETS in Europe-Paris-P. Broussell Hospital (Ville}uif 13I14 March, 1991). March 1991est. Philip Morris Companies Inc. 2501356073–6076. www.pmdocs.com. UQ 33534. JMH–possibly Hartogh J. Action Plan proposed by ICOSI Task Force 4th World Conference on Smoking & Health. January 29, 1979. Philip Morris Companies Inc. 2501015212–5215. www.pmdocs.com. UQ 33549. The World Health Organization (WHO): Its Work Related to the Activities of the International Tobacco Industry. Philip Morris Companies Inc. 2501442830–2897 at 2834. www.pmdocs.com. UQ 5. The World Health Organization (WHO): Its Work Related to the Activities of the International Tobacco Industry. Philip Morris Companies Inc. 2501442830–2897 at 2889– 2890. www.pmdocs.com. UQ 5. Informal Meeting of the IARC Research Group on ETS and Human Cancer. Philip Morris Companies Inc. 2501349504–9507. http://www.pmdocs.com. UQ 33636. 47th WHO World Assembly: Informal meeting of some members of the IARC study group “ETS and the Lung Cancer”. Geneva May 3-6, 1994. Philip Morris Companies Inc. May 5, 1994. CECCM. IARC Study. April 4, 1995. British American Tobacco Company. 500804531– 4537. Guildford Document Depository. UQ 33774. Companies Inc. 2502250796–0797. http://www.pmdocs.com. UQ 29. Menchaca. January 25, 1990. British American Tobacco Company. 502587287. Guildford Document Depository. UQ 33237. Companies Inc. 2501356073–6076. http://www.pmdocs.com. UQ 33534. Pages R. [Forwarding note from H. Reif: IARC Study]. July 19, 1993. Philip Morris Companies Inc. 2025470098. www.pmdocs.com. UQ 32800. Dietrich P. [Letter to Sharon Boyse, Enclosing Memo of Visit to Thailand and Philippines]. January 29, 1992. British American Tobacco Company. 300516024–37. Guildford Document Depository. UQ 33682. Appendix I, INFOTAB January 1989 Discussion Paper. January 30, 1989. Philip Morris Companies Inc. 2501045258–5268 at 5262. pmdocs.com. UQ 33561. WHOIIOCUIUICC: Strategies and Tactics. January 31, 1989. Philip Morris Companies Inc. 2501045143–5147 at 5143. pmdocs.com. UQ 32846. WHOIIOCUIUICC: Strategies and Tactics. January 31, 1989. Philip Morris Companies Inc. 2501045143–5147 at 5146. pmdocs.com. UQ 32846. Appendix I, INFOTAB January 1989 Discussion Paper. January 30, 1989. Philip Morris Companies Inc. 2501045258–5268. pmdocs.com. UQ 33561. January 31, 1989. Philip Morris Companies Inc.
PMI Corporate Affairs Action Plan 1990. November 2, 1989est. Philip Morris Companies Inc. 2500019979–9999 at 9980–9982. pmdocs.com. UQ 33558. Egawa E. April 25, 1986. Philip Morris Companies Inc. 2021654119–4123. pmdocs.com. UQ 66. Bible G. Corporate Affairs Conference I Action Plan. December 13, 1986. Philip Morris Companies Inc. 2021596422–6432 at 6429. pmdocs.com. UQ 32834. Agro-Tobacco Services-Programme Review No1. British American Tobacco Company. 502552606–2611 at 2609. Guildford Document Depository. UQ 33290. Lee PN. Helmut Schievelbein. August 9, 1979. Philip Morris Companies Inc. 2501159889–9891 at 9889. www.pmdocs.com. UQ 33717. Minutes of the Meeting of the Working Group of the E.E.C. Tobacco Manufacturers’ Associations, Held in Luxemburg on 4th and 5th October 1979. November 11, 1979. Philip Morris Companies Inc. 2501015083–5096 at 5088. pmdocs.com. UQ 33716. Belcher P. Scientific Committee on Tobacco and Health (SCTH). February 9, 1994. Rothmans International. Philip Morris Companies Inc. 2024188905–8907 at 8905. pmdocs.com. UQ 33715. Independent Scientific Review of the Toxic Substances Board Report, May 1989, Summary, Commissioned by the Tobacco Institute of New Zealand. 1989est. Philip Morris Companies Inc. 2504203558–3559. pmdocs.com. UQ 33535. Rothman’s International Tobacco ETS Workshop. May 1992est. Philip Morris Companies Inc. 2501237099. pmdocs.com. UQ 33532. S&H. Re: Dr. Furst-Review of Non-Smoker Problem CTR Special Pro}ect. 1976est. Lorillard Tobacco Company. 03747419. TDO Supersite at tobaccodocuments.org. UQ 33714. From the record before Congress, the Case for Defeat of S. 772. 1983est. Tobacco Institute. TIMN 0353310–3320 at 3312. TDO Supersite at tobaccodocuments.org/. UQ 33729. Purvis A, Johnson J. Privileged and confidential attorneyIclient connumications. Trial Report, SummaryITestimonyIPro}ection. April 21, 1988. Philip Morris Companies Inc. 2025880540– 0543. Bliley Documents at tobaccodocuments.org. UQ 33730. Tobacco Institute Newsletter. March 12, 1982. Philip Morris Companies Inc. 515841024. Bliley Documents at tobaccodocuments.org. UQ 98. Hoel D. Confidential-For counsel only. July 10, 1979. 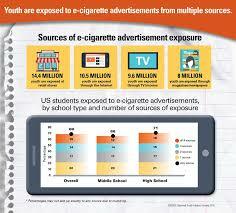 Philip Morris Companies Inc. 6267450002. Bliley Documents at www.tobaccodocuments.org. UQ 99. Lyberopoulos H. ARISE 1994-95 Activities and Funding. Philip Morris Companies Inc. 2024208096–8099. pmdocs.com. UQ 33779. Information on Associates for Research in Substance En}oyment Meeting in Venice. R.J. Reynolds Tobacco Company. 508300651–0667 at 0652. http://www.rjrtdocs UQ 33749. Wilhelmus J. WHO. April 18, 1995. Philip Morris Companies Inc. 2063625254. pmdocs.com. UQ 33541. Luik J, Snel J, Warburton D. ARISE (Associates for Research into the Science of En}oyment): A Summary of the Workshop Held in April 1995. April 1995est. R.J. Reynolds Tobacco Company. 511818234–8241. rjrtdocs.com. UQ 33731. The World Health Organization. December 1985est. Philip Morris Companies Inc. 2023267436. pmdocs.com. UQ 46. Consultant to ICOSI on International Organisations. August 1980est. Philip Morris Companies Inc. 2025049734. pmdocs.com. UQ 37. Developing Countries Group (DCG). Progress report covering events since the ICOSI board of directors meeting October 5I8th, 1980. February 1981est. Philip Morris Companies Inc. 2025049364–9374 at 9365. pmdocs.com. UQ 40. January 11, 1991. British American Tobacco Company. 300557237–7259 at 7241. Guildford Document Depository. UQ 33350. January 11, 1991. British American Tobacco Company. 300557237–7259 at 7240. Guildford Document Depository. UQ 33350. January 11, 1991. British American Tobacco Company. 300557237–7259 at 7256. Guildford Document Depository. UQ 33350. Boca Raton Action Plan: WHOIIOCUIUICC: Strategies and Tactics. Philip Morris Companies Inc. 2501045143–5147 at 5146. pmdocs.com. UQ 32846. Sullivan J. IARC Study. September 2, 1993. Philip Morris Companies Inc. 2501117793– 7797 at 7795. pmdocs.com. UQ 33603. Von Maerestetten C. IARC. July 26, 1993. Philip Morris Companies Inc. 2025493295. pmdocs.com. UQ 33776. IARC Study. Philip Morris Companies Inc. 2501347168–7173 at 7172. pmdocs.com. UQ 33595. Memo on vaccines for world health organization. October 25, 1971. Philip Morris Companies Inc. 2012581044. pmdocs.com. UQ 4. Flavor and Extract Manufacturers Association. Invoice. August 17, 1995. Philip Morris Companies Inc. 2050761274. pmdocs.com. UQ 33546. Schrankel K. Final Report to Contributors of Anethole Research Fund. August 25, 1998. Philip Morris Companies Inc. 2063597040. pmdocs.com. UQ 33548. Minutes of Anethole Task Force. May 2, 1996. Philip Morris Companies Inc. 2063616600. pmdocs.com. UQ 33547. Schrankel. Final Report to Contributors of Anethole Research Fund. August 25, 1998. Philip Morris Companies Inc. 2063597040. www.pmdocs.com. UQ 33548 TIMN270055–0059 at 0058. http://www.tobaccoinstitute.com. UQ 32904. Hartogh JM. To all members of the ICOSI task force 4th world conference on smoking and health. [Memo by E. Brueckner.] June 26, 1979. British American Tobacco Company. 100433043–3047. Guildford Document Depository. UQ 33162. Companies Inc. 2025049727–9733 at 9728. Temple B. Re: ICD Meeting-4 October 1991. September 13, 1991. British American Tobacco 61. Developing Countries Ad Hoc Group (DCG). (ICD). May 1, 1991. British American Tobacco Company. 300516092–6095 at 6092–6093. Guildford Document Depository. UQ 33781. Finnegan T, Senkus M, Zahn L.
Action Plan proposed by ICOSI Task Force on 4th World Conference On Smoking & Health Stockholm, June 18-22,1979. January 30, 1979. Council for Tobacco Research. 10395689–5695. Observations on the Fifth World Conference on Smoking and Health by a Consultant, Winnipeg, July 1983. July 1983est. Philip Morris Companies Inc. 2501021685–1709 at 1685. www.pmdocs.com. UQ 32890. Secretariat interim report. December 28, 1984. Philip Morris Companies Inc. 2023272512. com. UQ 43. General . January 1982est. Philip Morris Companies Inc. 2021594826–4836 at 4833. 0557. Bliley Documents at www.tobaccodocuments.org. UQ 61. Ely B. Infotab Board Meeting 30th and 31st October, 1983. November 18, 1983. Brown & Williamson Tobacco Company. 680404650. Developing Countries Strategy Group. January 1985est. Philip Morris Companies Inc.
Group. December 7, 1978. Tobacco Institute. Pro}ect Report Covering Pro}ects and Action Plans Since the Board of Directors Meeting on March 30, 1981. 1981est. Philip Morris Companies Inc. 2025048077–8088 at 8077. pmdocs.com. UQ 41. Pro}ect Report Covering Pro}ects and Action Plans Since the Board of Directors Meeting on March 30, 1981. Philip Morris Companies Inc. 2025048077–8088 at 8082. www.pmdocs.com. UQ 41. Verkerk H. Fifth World Conference on Smoking and Health-Winnepeg. Philip Morris Companies Inc. 2501021564–1586 at 1577. pmdocs.com. UQ 32888. Secretariat Interim Report. December 28, 1984. Philip Morris Companies Inc. 2023272512– 2617 at 2594. pmdocs.com. UQ 43. INFOTAB Board of Director’s (BOD) Meeting-March 30, 1981. April 6, 1981. 502741855. Bliley Documents at www.tobaccodocuments.org. UQ 60. 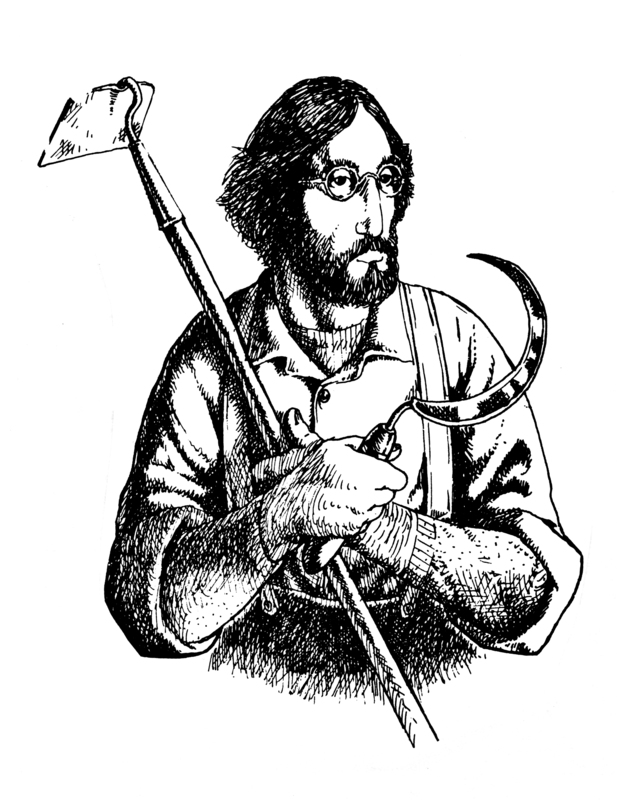 Schlosser A, Mine K (Chadbourne, Parke). Representative Compilation of Literature Describing the Benefits of Tobacco. April 29, 1986. Brown & Williamson Company. April 20, 1983. Philip Morris Companies Inc. 2023273908. www.pmdocs.com. UQ 42. Brown & Williamson Tobacco Company. 699101438–1473. www.bwdocs.aalatg.com. International Organizations Monitoring Service. Industry Sectors and International Organizations-Tobacco Update and Outlook on World Health Organization Activities Affecting MNCs. March 5, 1986. Philip Morris Companies Inc. 2024272808- 2814 at 2812. Bliley Documents at tobaccodocuments.org. UQ 33777. Company. 502552280–2293 at 2288. Guildford Document Depository. UQ 33286. Brady B. March 3, 1992. British American Tobacco Company. 202049846–9847 at 9847. Guildford Document Depository. UQ 33255. Tobacco Company. 202049846–9847 at 9847. Guildford Document Depository. UQ 33255. Hartley R. [Note to Mr. B.D. Bramley].June 28, 1993. British American Tobacco Company. Oldman M. [Letter to D. Bacon enclosing “Some Thoughts on the Future Management of the Industry’s Agro-Tobacco Programme”]. 29, 1995. British American Tobacco Company. Bacon D. Development Aid, Progress. Companies Inc. 2021594826–4836 at 4827. Companies Inc. 2024272808–8014 at 8012. Tobacco Company. 601030389–0413 at 0395. Guildford Document Depository. UQ 33319. Bible G. Corporate Affairs Conference I Action Plan. December 13, 1988. Philip Morris Companies Inc. 2021596422–6432 at 6429. pmdocs.com. UQ 32834. Boca Raton Action Plan: Status Report for the Period Ending January 31, 1989. January 31, 1989. Philip Morris Companies Inc.2500103969–4056 at 3989. www.pmdocs.com. Boca Raton Action Plan: Status Report Ending July 31, 1989. July 31, 1989. Philip Morris Companies Inc. 2023547120–7135 at 7121. pmdocs.com. UQ 32860. Boca Raton Action Plan Summary Report December 3, 1988-October 30, 1989. October 30, 1989. Philip Morris Companies Inc. 2503005015–5050. pmdocs.com. UQ 32862. Boca Raton Action Plan: Status Report for the Period Ending September 30, 1989. September 30, 1989. Philip Morris Companies Inc. 2501204997–5021 at 4998. pmdocs.com. UQ 32861. Rupp J. Statement, Philip Morris International (Latin America). November 30, 1992. Philip Morris Companies Inc. 2023591405. pmdocs.com. UQ 32903. INFOTAB International Workshop, Brussels, October 13-16, 1986. October 16, 1986. Philip Morris Companies Inc. 2501446636–7080 at 6723–6724. pmdocs.com UQ 33566. Boca Raton Action Plan: Appendix A, WHOIIOCUIUICC: Strategies and Tactics. January 31, 1989. Philip Morris Companies Inc. 2501045143–5147.pmdocs.com UQ 32846. Egawa E. April 25, 1986. Philip Morris Companies Inc. 2021654119–4123 at 4121. pmdocs.com. UQ 66. INFOTAB International Workshop, Brussels, October 13-16, 1986. October 16, 1986. Philip Morris Companies Inc. 2501446636–7080 at 6677. pmdocs.com UQ 33566. Egawa E. April 25, 1986. Philip Morris Companies Inc. 2021654119–4123 at 4120. pmdocs.com. UQ 66. Whitley C. Statement of Charles O. Whitley on behalf of the Tobacco Institute before the Subcommittee on Health and the Environment, Committee on Energy and Commerce, US House of Representatives [Draft]. July 9, 1990. Tobacco Institute TIMN 0032095–2141 at 2118. Bliley Documents. tobaccodocuments.org. UQ 32912. Whitley C. Statement of Charles O. Whitley on behalf of the Tobacco Institute before the Subcommittee on Health and the Environment, Committee on Energy and Commerce, US House of Representatives [Draft]. July 9, 1990. Tobacco Institute TIMN 0032095–0032141 at 2118. Bliley Documents. tobaccodocuments.org. UQ 32912. Press release by the organizers of the expert discussion of the “Physician’s View of Passive Smoking”: Health Danger through Passive Smoking Not Proven. April 1984. Philip Morris Companies. 1002965608–6509. pmdocs.com. UQ 33770. Masironi R. [Letter to W. Kloepfer]. December 2, 1986. Philip Morris Companies Inc. 2025816621–6624. www.pmdocs.com. UQ 33771. Greenberg D. September 15, 1993. Philip Morris Companies Inc. 2021184116–4121 at 4119. www.pmdocs.com. UQ 33590. Walk, R.A. IARC Multi-Center Case Control Study of ETS and Lung Cancer, Your memo dated 21 May 93. July 13, 1993. Philip Morris Companies Inc. 2025493287. pmdocs.com. UQ 33616. IARC Study. 1994est. Philip Morris Companies Inc. 2501347168–7173 at 7169. pmdocs.com. UQ 33595. IARC Study. Philip Morris Companies Inc. 2501347168–7173 at 7169. www.pmdocs.com. UQ 33595. Greenberg D. September 15, 1993. Philip Morris Companies Inc. 2021184116–4121 at 4118. www.pmdocs.com. UQ 33590. Winokur M. [FAX to H. Reif attaching “CIAR and IARC, Next Steps and Options.”] December 19, 1994. Philip Morris Companies Inc. 2028381587–1588 at 1588. pmdocs.com. UQ 33746. Lyberopoulos, H. Presentation on IARC [enclosing overheads]. April 19, 1994. Philip Morris Companies Inc. 2501355931–5944 at 5942. pmdocs.com. UQ 33604. Companies Inc. 2025492898–2905 at 2899. http://www.pmdocs.com. UQ 33758. Lindheim J. Presentation on Scientist Pro}ect. May 5, 1994. Philip Morris Companies Inc. 2025493201–3207 at 3205–3206. pmdocs.com. UQ 33708. British American Tobacco. [ News release]. March 5, 1998. Philip Morris Companies Inc. 2063594010–4240 at 4018. pmdocs.com. UQ 33750. INFOTAB . Item 2 Report From The Secretary General . January 1, 1982est. Philip Morris Companies Inc. 2021594826–4836. pmdocs.com. UQ 32. The World Health Organization (WHO): Its Work Related to the Activities of the International Tobacco Industry. Philip Morris Companies Inc. 2501442830–2897 at 2501442889–2897. pmdocs.com. UQ 5. 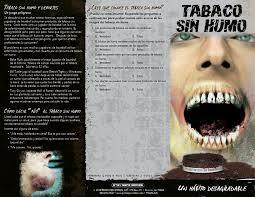 The World Health Organization (WHO): Its Work Related to the Activities of the International Tobacco Industry. Philip Morris Companies Inc. 2501442830–2897 at 2834. pmdocs.com. UQ 5. The World Health Organization (WHO): Its Work Related to the Activities of the International Tobacco Industry. Philip Morris Companies Inc. 2501442830–2897 at 2889– 2890. pmdocs.com. UQ 5. Informal Meeting of the IARC Research Group on ETS and Human Cancer. Philip Morris Companies Inc. 2501349504–9507. 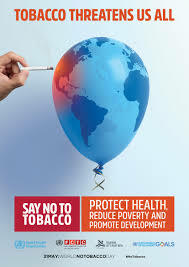 Tags: anti-smoking, BAT, child smoking, crimes against humanity, fake science, fake tobacco, passive smoking, Philip Morris, quit smoking, RJR, smoking cessation, smoking prevention, tobacco advertising, tobacco control, Tobacco industry, tobacco prevention, tobacco-free, UN, United Nations, WHO, World Court, world health organization | Permalink.